An evolution in the practice of medicine is here. A functional medicine provider can help you get to the root cause of your symptoms. Traditional medicine has taken a disease-centered focus where the practitioner prescribes and treats the symptoms of the patient’s illness. Functional medicine shifts to a patient-centered approach, addressing the whole person and not just an isolated set of symptoms. Functional medicine practitioners look to uncover the root cause of the illness by spending time with their patients, listening to their histories and studying the interactions among genetic, environmental, and lifestyle factors that influence long-term health and complex chronic disease. – your diet and the quality of food available to you, the air you breath, the water you drink, your level of exercise, toxins you may be exposed to or traumas you’ve experience. – spiritual beliefs, psychological and social factors, along with relationships and stress. Stress can be linked to many chronic diseases. – our DNA can predispose us to many illnesses and although it is not an unchanging blueprint for your life, it must be considered when looking at the patient as a whole. More people are suffering from complex, interconnected illnesses that are in part lifestyle driven. Our current healthcare system is programmed for treating trauma and acute illnesses and doctors are trained to prescribe drugs and surgery to treat the immediate problem or symptom. This acute care approach does not work well for preventing and treating the more complex, chronic health issues and does not allow for differences in patient’s genetics, environment, or toxic exposures. A gap exists today between applying new scientific research and care delivered in medical practices. Most doctors today do not have the time in their schedule and do not know how to assess the causes of underlying chronic disease and how to use strategies such as lifestyle interventions to treat and prevent disease. Functional medicine providers, in addition to being licensed medical doctors or nurse practitioners, have completed the Applying Functional Medicine in Clinical Practice (AFMCP) training program through the Institute for Functional Medicine. 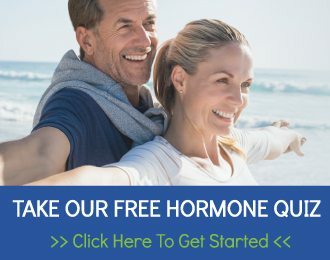 The Institute for Functional Medicine is a non-profit organization that is accredited by the Council for Continuing Medical Education (ACCME) and is dedicated to educating physicians and other healthcare practitioners in Functional Medicine. There are more than 1000 providers in the US who have completed the AFMCP training. Functional Medicine is what medicine should look like today. It’s a different, innovative, comprehensive approach to healthcare, emphasizing prevention and discovery of the underlying causes of illness as opposed to only treating symptoms. 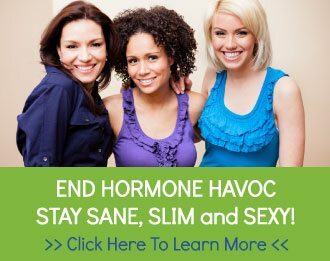 Please attend our End Hormone Havoc seminar to learn more about our Functional Medicine approach to hormonal wellness including hypothyroidism and menopause symptoms.